BOOM! Studios today announced ROBOCOP: CITIZENS ARREST, an all-new comic book series premiering in April 2018. 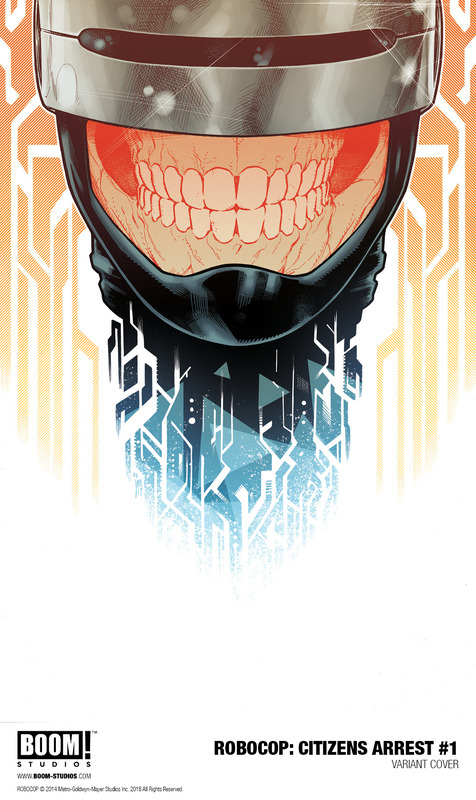 Visionary writer Brian Wood (DMZ, Briggs Land) and fan-favorite artist Jorge Coelho (Venom) present a chilling view of the future where justice is crowdsourced, set 30 years after the events of the landmark original RoboCop film. In the decades since the RoboCop program first began, corporations have taken over public services and the government—and law enforcement is the biggest private contract of all. Traditional police forces no longer exist as all citizens are encouraged—and rewarded—to spy on their neighbors. There is only one authority on the streets: ROBOCOP. 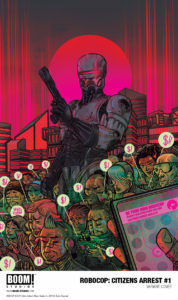 ROBOCOP: CITIZENS ARREST #1 features a main cover by Nimit Malavia (Fables), along with variants by David Rubin (Black Hammer) and Jim Towe (Youngblood). ROBOCOP: CITIZENS ARREST #1 is the latest release from BOOM! Studios’ eponymous imprint, home to a world-class group of licensed comic book series and ambitious original series, including Mighty Morphin Power Rangers, Planet of the Apes, Big Trouble in Little China, Victor LaValle’s Destroyer, Mech Cadet Yu, Grass Kings, and Klaus. 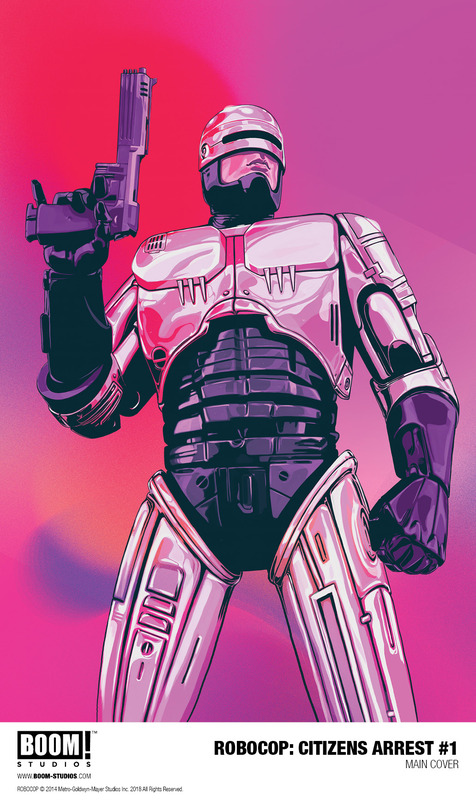 Print copies of ROBOCOP: CITIZENS ARREST #1 will be available for sale in April 2018 at local comic book shops (use comicshoplocator.com to find the nearest one) or at the BOOM! Studios webstore. Digital copies can be purchased from content providers, including comiXology, iBooks, Google Play, and the BOOM! Studios app. For continuing news on ROBOCOP: CITIZENS ARREST #1 and more from BOOM! Studios, stay tuned to www.boom-studios.com and follow @boomstudios on Twitter.